Heeyylloo to all readers !!! You know that’s not true remembering all the times you’d have filled up on pizzas, kebabs and frozen eats from Tesco, Asda or Co-op. Oh yes, These are the giants of all grocery and household shopping just like Big Baazar. We feel that UK probably would not cater to certain ingredients and masala that we get in abundance back home. But people here do know how to celebrate flavours of the world in the country. Do not be surprised if you find Naan, Roti, Basmati, Tikka Masala or Masala chai for that matter. There are several occasions in this country when you realise how people around the world find their own way to celebrate festivals that are commonly known to us as Diwali and Holi. I have always enjoyed the Paint & Foam Party that takes place in the beginning of the year at our Uni’s very own club, Rubix. The Freshers Week events and parties have known to be a major highlight in our universities for students, alumni and students from other universities. There have been times where my friends from Leeds & Manchester have visited me to attend our Freshers Parties due to the Line up of Celebrities that the Student union invite, which is why these events are usually overbooked and sold out. 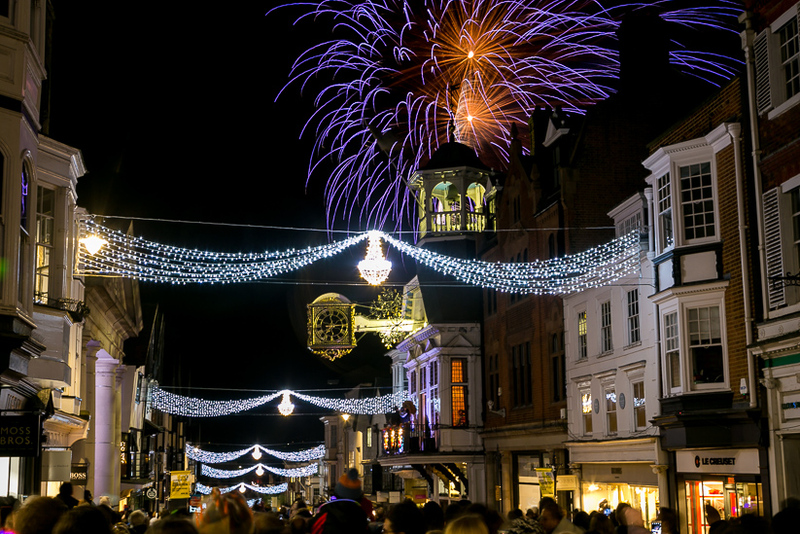 But one of the most delightful and refreshing reinterpretation of festivals here is the decoration of high-streets in Guildford with an exquisite stretch of lightings that international students find most fascinating. They are generally installed in November to start off with pre-christmas celebrations. There is also the Guy Fawkes Night on the 5th November, which is symbolised by bonfires and fireworks. This is definitely a representation of how bonfires of Holi & Baisakhi are reinterpreted here. Students here of all cultural background can certainly find a relation to such festivities around the year bringing home closer for themselves. Sometimes, even curries from Jamaican food or Paella (Spiced Rice) of the Spanish Culinary give you a taste of how it feels to eat Chicken Kadhai and Dum Biryani at home. But I really don’t have to settle for different tastes when I can find familiar ones in numerous indian restaurants, sometimes of specific states of India too. I recently went to a restaurant named ‘Chennai Dosa’, which i think is self explanatory, catering to the most authentic south indian food that i have tasted in a very long time. Also this is coming from a person who has spent his fair share of time in Pune, India as well as Muscat, Oman, which ironically is mostly populated with indian expats from Gujarat, Mumbai, Kerala & Tamil Nadu. I don’t think the photographs that you see below do justice to the actual experiences that i have had here because you could be skeptical to come to UK and i was too until I gave it time to get familiar to blend into the culture and make it my own with my own relation to how I perceive home. 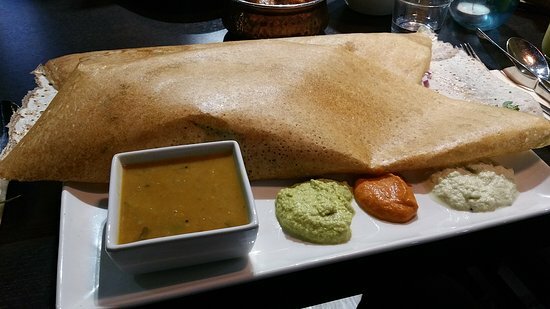 Looks like a regular dosa, but I would definitely take a train ride to Woking to have one of these regularly. Believe me, there are more lights on the inaugural day when I had submissions to do. 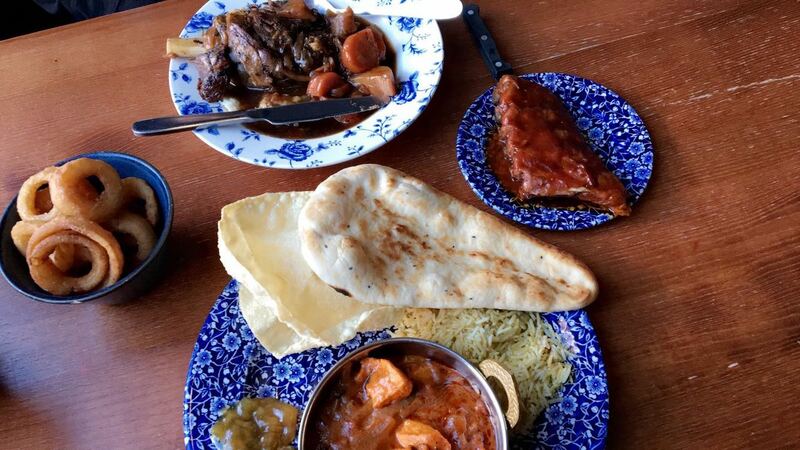 By the way, the third picture is of Chicken Tikka meal as a “Classic” & “Regular” Dish at J D Whetherspoons Pub.